MADRID, Spain, 2018-Mar-21 — /Travel PR News/ — Philippine Airlines (PAL) received Skytrax’s coveted 4-Star rating a little over a month ago, but already the airline is aiming for its 5th Star. 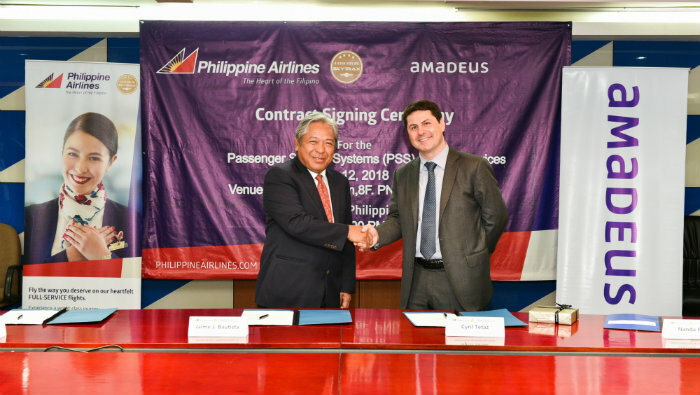 This entry was posted in Airlines, Travel, Travel Management, Travel Services, Travel Tech, Travelers and tagged Amadeus Altéa Suite, Amadeus IT Group SA, Cyril Tetaz, Jaime J. Bautista, Philippine Airlines. Bookmark the permalink.